More than 70% of the tea packages are in the form of cardboard tube boxes, and are an important consideration for packaging design, depending on the type and series of tea. Because the form and content reflected in the printing packaging directly affect people’s perception and judgment of the product. For this reason, we established a professional packaging design team in 2000 to help customers improve product packaging in detail. 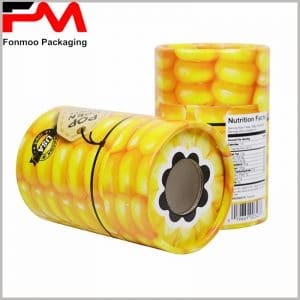 And as a professional tube packaging manufacturer, strict control of quality makes every customized packaging display perfect, and has a positive effect on product sales. This tea cylinder packaging, like most tea boxes, highlights the features of tea and highlights the product on the packaging lid and main locations. Green tea packaging uses a light green background because the background color needs to combine product characteristics. In order to increase the bearing weight of the large cardboard tube boxes, 350g of cardboard is used as raw material, and 105g of copper paper is used as the Bonding paper. The use of photo-gel processing makes the whole package more glossy. At the same time, because the composition and function of each tea variety is different, specific product descriptions are printed on the packaging surface in order to better distinguish it from other products and to better advertise the product selling point.